Heat the oil in a small pan and when oil is hot add mustard seeds, urad dhal and bengal gram dhal. Fry till dhal is brown in color. 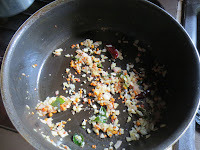 Add curry leaves, red chillies and onion. Fry till onion is crispy. 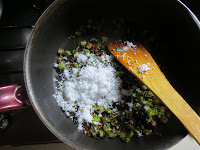 Add ladies finger and salt. Fry till ladies finger is crispy (will take about 4-6 mins) When you turn careful (don't break ladies finger). 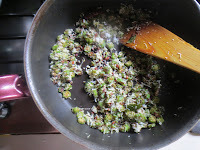 Add cumin seed powder and sambar powder. 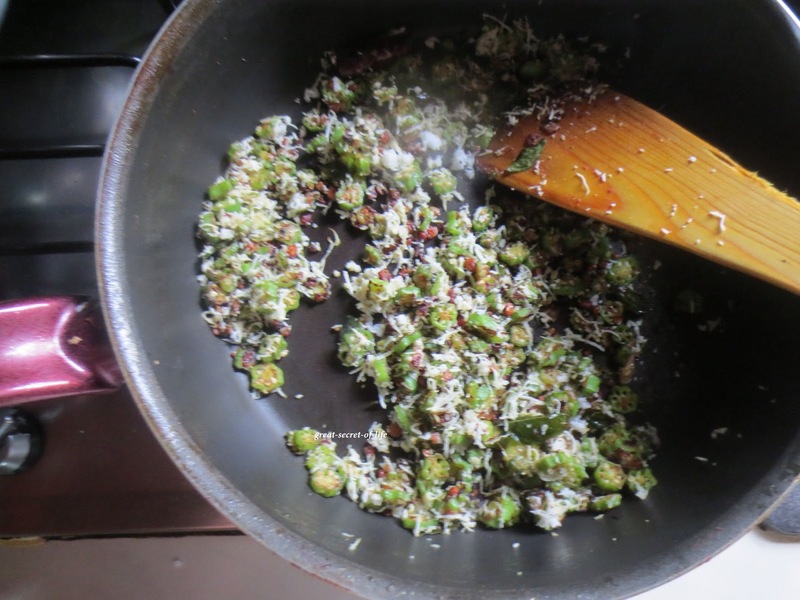 Fry for another 3-5 mins. 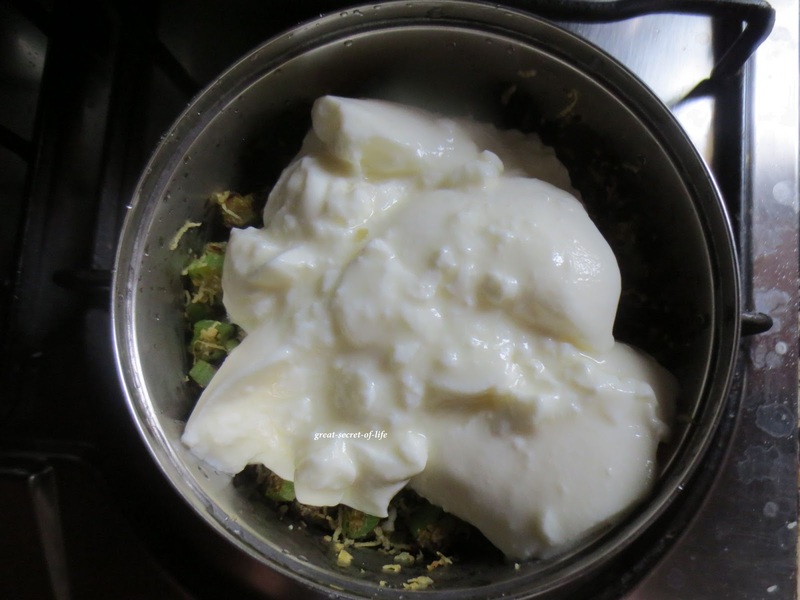 Pachadi looks so healthy and delicious!! 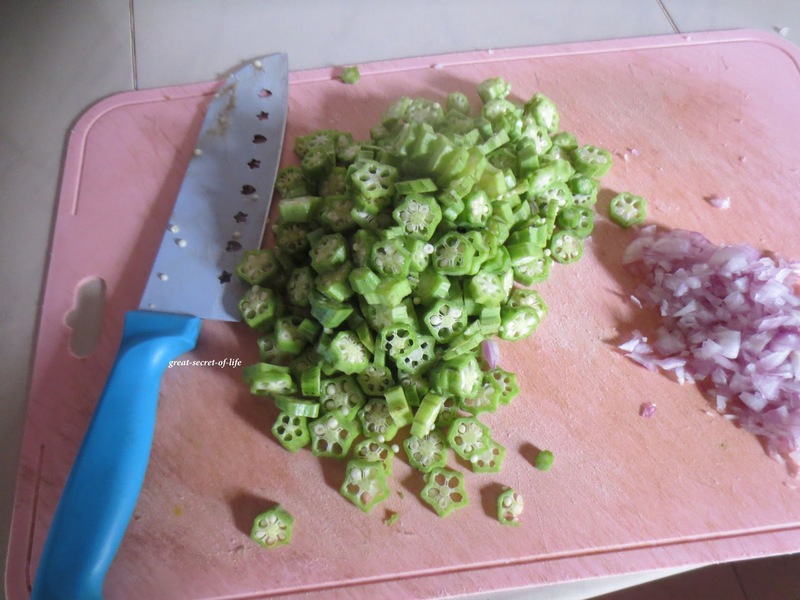 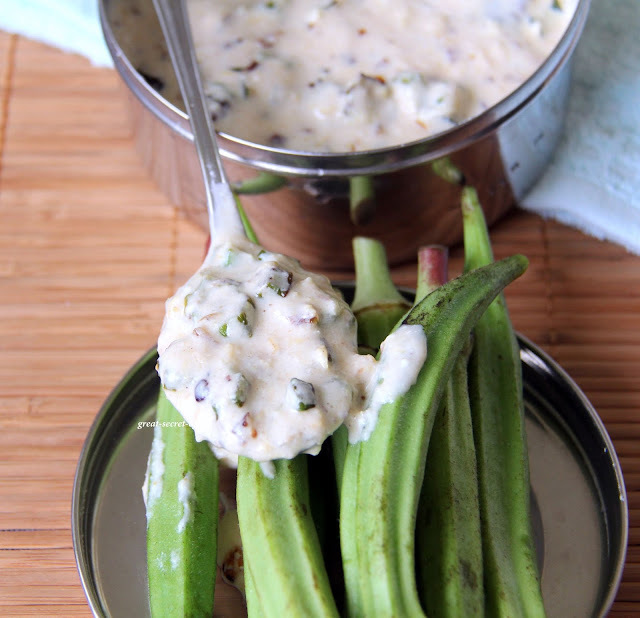 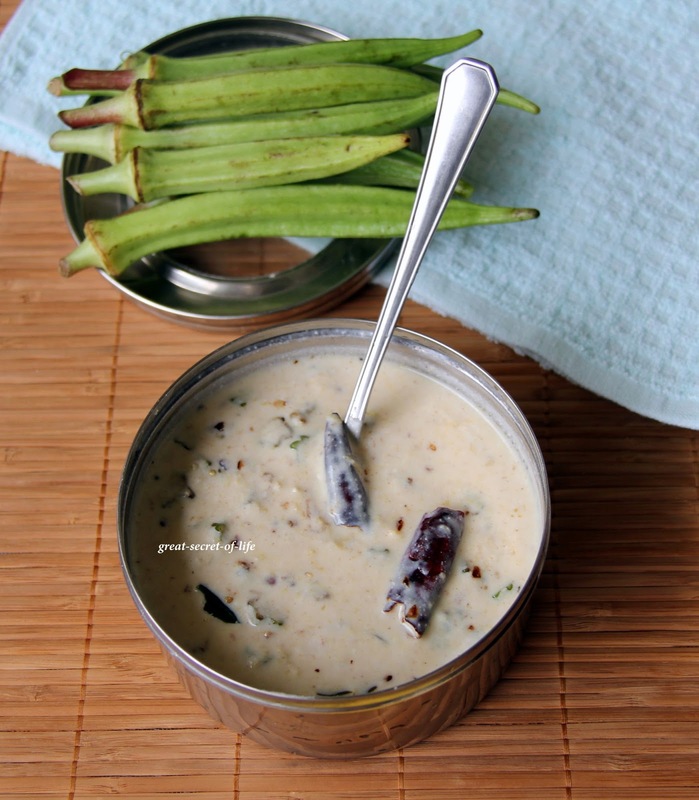 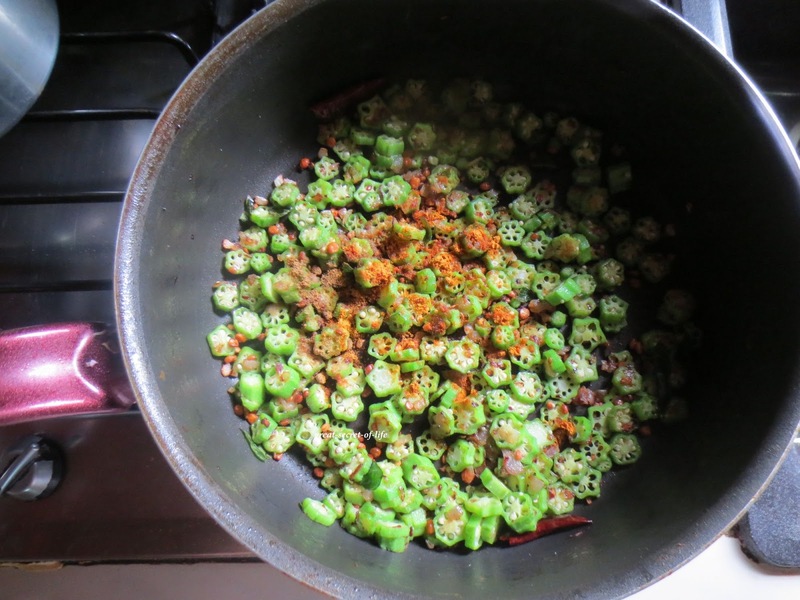 I love okras in pachadi, inviting dish. 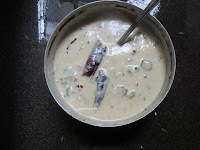 nice click very flavourful raita. 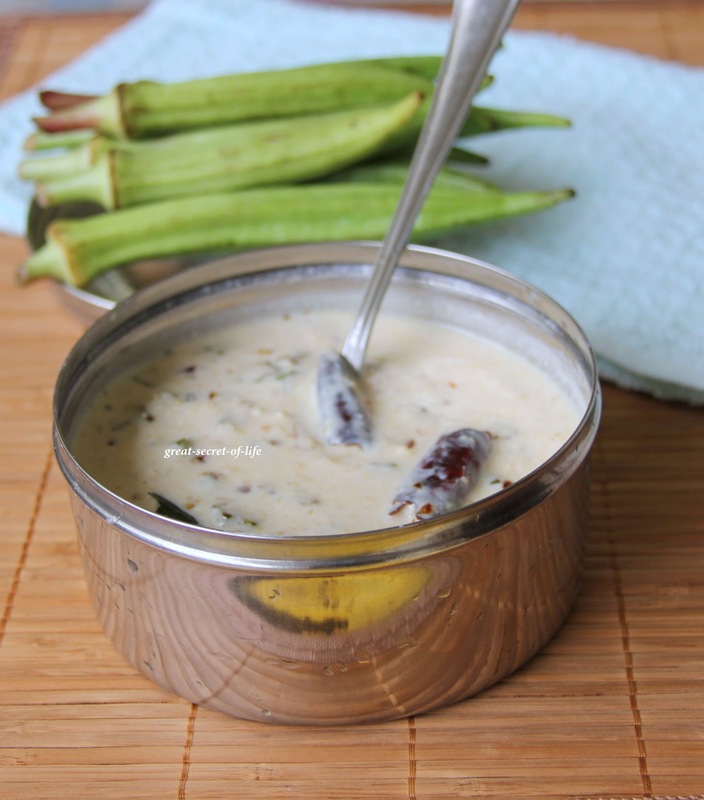 Love this pachadi..Looks so delicious.. :) Nice clicks..!! 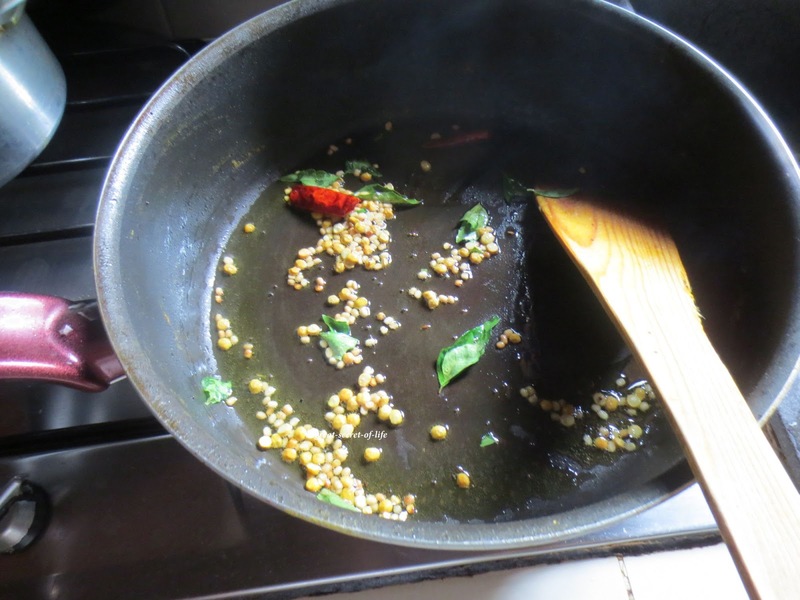 Just what I needed, thanks a lot….